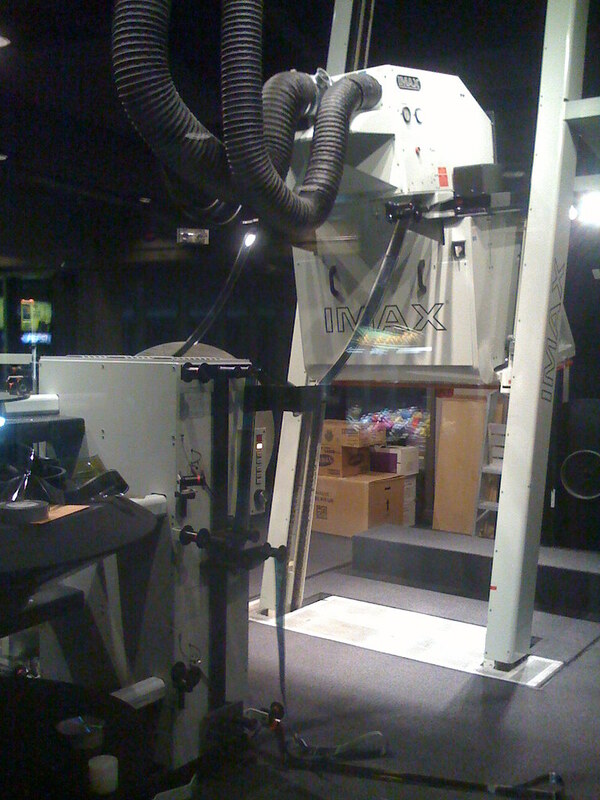 I love how the Tampa MOSI IMAX theater lets guests see the projection system. 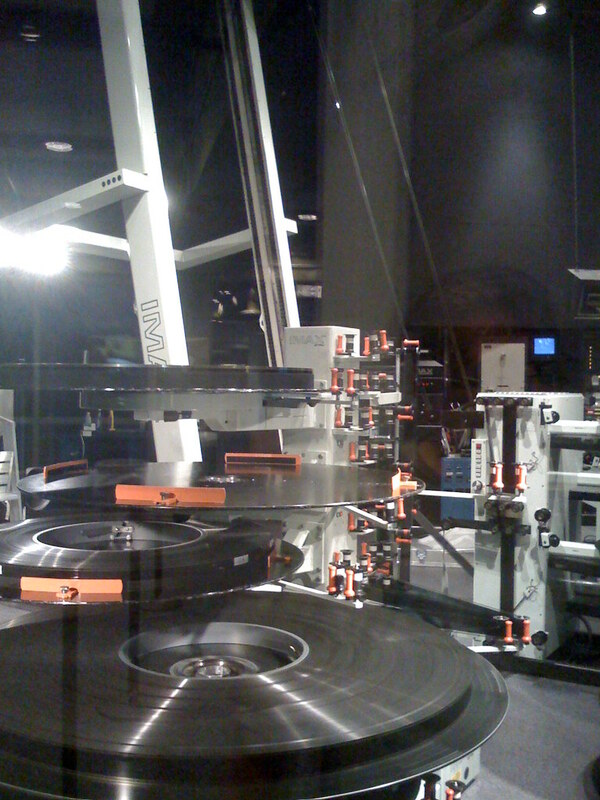 Enormous spools of IMAX size film. 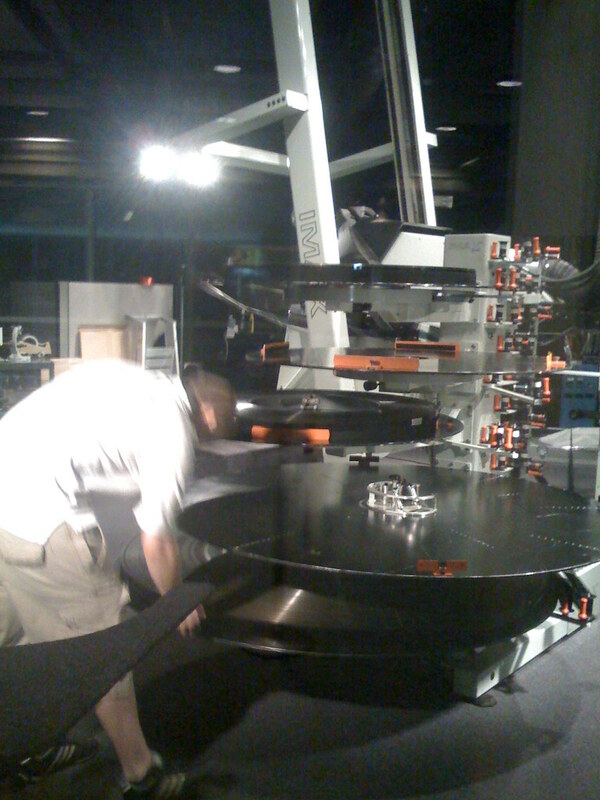 The projector climbs pair of tracks to position itself for the screen, then lowers to floor level for reloading. A worker helps give an idea of how large the film spools are. Something is wrong with this picture. 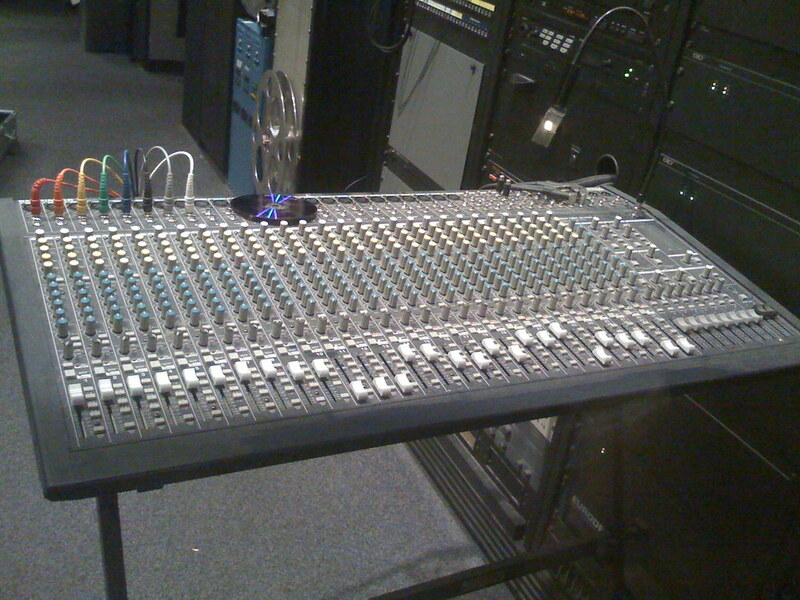 The channel sliders on the right side of this audio console are in various positions, and lights are blinking above some of the channels. This is 100% just for "ooo neat" show to tourists walking by. You'll notice only eight feeds are plugged into the left side of the board (probably for 7.1 surround, or maybe this has nothing to do with the IMAX projection). The channels with varying slider settings are completely unused, and the blinking lights are just the PFL (pre-fade listen) buttons pressed on some channels.